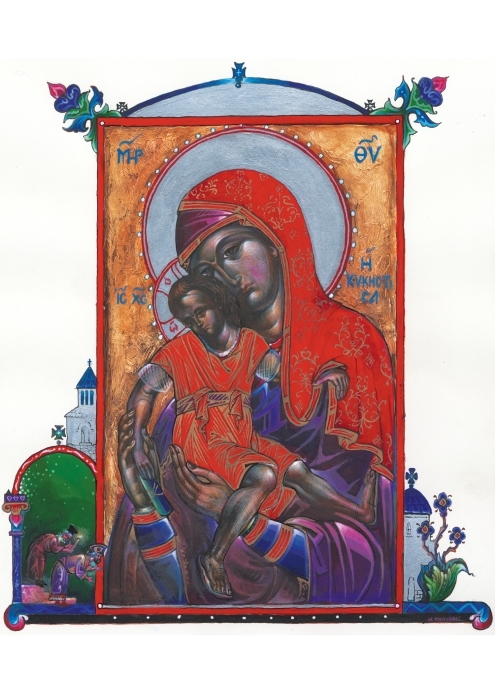 Limited edition print of the Theotokos by Niko Chocheli. Limited to 200 copies. Printed on archival quality paper. Signed and numbered by the artist. From the book "The Hermit, the Icon, and the Emperor." Size is 14.5 inches tall and 13.25 inches wide.